Istanbul to Peking, following the Silk Road offers an experience of so many different cultures. From the exotic and opulent cities to the raw natural beauty of the landscape. It will be impossible to forget your encounters en route. Irs a great trip for amateur photographer. Asia offers some of the most diverse cultures in the world, and many different religions are represented in the different areas. Islam is most associated with the region, although are many other prevalent faiths. Here Christians, Jews, Zoroastrians, Yazidis, Baha’i and Nestorians, all live in harmony on the road from Istanbul to Peking. Iran and Uzbekistan, may not be associated with tourism and with such a different culture; the thought of visiting may be intimidating. The people of these countries are friendly, hospitable and are very welcoming to visitors from the West. Of course, with different cultures, there is sometimes the need to adapt, and this means respecting other traditions and customs. 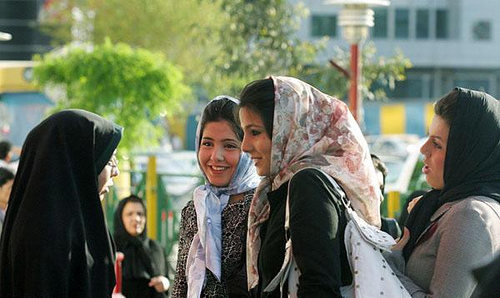 When entering Iran, women need cover up and wear a headscarf and men must wear long trousers. In other countries it’s best not to show shoulders or knees, which could be interpreted as a sign of disrespect. If you aren’t sure what’s right, your tour guide for the journey will be able to let you know what you need to do. Overlanding means that flying from one destination to another is out of the question. Many places are remote, so hard to get to otherwise. So by going overland, you get to see the spectacular scenery and opportunities along the way. To get the most out of a long expedition like this, journeying via truck provides the best way to experience the landscape and to really see the country. With the ability to stop off at small villages en route and talk with locals. Moving from one place to another by truck offers the chance to escape from tourist hot spots. Although there are hotels in some places, taking a tent and sleeping under the stars, or in a yurt, if you like. Camping provides the group with more flexibility about how to plan the trip and where to stay each night. 16 weeks may sound like a very long time, though once you are on the road you will be wishing for the days to slow. A captivating experience and one which you will never forget, the Istanbul to Peking overland is a memorable expedition. No matter what else you see and enjoy during your time in Asia, the single thing which will impress you the most will be the natural landscape. With a huge diversity of terrain; jagged mountains jutting high into the skyline, arid deserts, dense forests and frozen tundra. Some of the greatest extremes of weather are experienced in this part of the world. With scorching temperatures in the summer months and sub-zero freezes in the winter months. The high mountains are frozen all year round, creating a magical glimmering vista which is almost other-wordly. This is particularly the case for the leg which travels from Kyrgyzstan and through Russian Siberia’s Altai Republic where the permafrost waits. Although some of the terrain looks inhospitable, in many countries such as Mongolia, locals make their living from the land and herding animals. Knowing how to make the most of what’s available and how to tend their flocks are an incredible skill learnt as a child. This can result in food which may not be recognised in the West, or tastes, which take a while to get used to, such as the famous yak butter tea. There will always be less challenging food available to eat, even when cooking over a camp stove. Sampling local fare shouldn’t be overlooked, if even to say you have tried it. 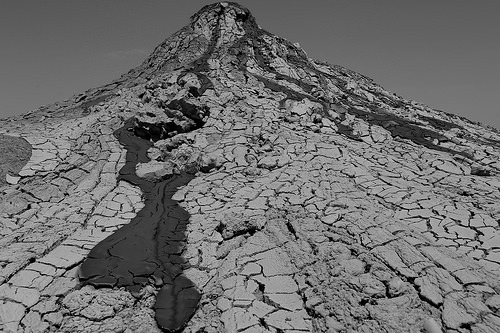 The landscape doesn’t just offer spectacular scenery, there’s also the chance to view some of the world’s most fascinating natural phenomena, such as the mud volcanoes in Azerbaijan. Underground hot water and sediment combine to create sprays of warm mud which can be bathed in by willing visitors. This may sound like a strange activity but the warm mud is said to have manifold benefits for the hair and skin. If the sound of relaxing sounds appealing but the mud isn’t an attractive prospect for you, the geothermal hot mineral springs in Pamukkale in Turkey offer an alternative. Naturally warm, the springs are popular both with locals and visitors alike and provide an attractive stop-off for any traveller. High in the mountains the water is a very different temperature. Originating from glaciers, alpine lakes can be icy cold but the crystal clear waters contribute to a stunning panorama. The Lagodekhi Reserve in Georgia offers an accessible route up the mountain where the wildlife as well as the landscape has to be seen first-hand to be believed. A four week expedition moving from Turkey to Georgia allows visitors who don’t have time for the entire tour to still explore these two countries. But it’s not just the natural surroundings of the Istanbul to Peking route which demand attention; the cities across the entire region are diverse and compelling. With many different faiths, tribes and people combining to create the cities you see before you today between Istanbul and Peking. In some cases the cities you will find are remarkably contemporary with sophisticated modern architecture and only traces of the past. In other places the structures remain far more traditional with little influence from present-day technology. In many cases you will find a balance of the two; shiny new areas, offering a stark contrast to stone, mud and brick buildings which stand proudly as a beacon of the past. Persepolis in Iran and Khiva in Uzbekistan are two examples of cities which are particularly historic and still feature many traditional buildings and structures. Yazd in Iran is another standout location, being the heartbeat of Zoroastrian culture, offering unique architecture and culture. Despite the thriving tourism industry in Yazd, many attracted by the area’s famous silk weaving skills, the city remains true to its roots. Visitors can pay their respects in the now-disused Towers of Silence or the Fire Temple, where the sacred flame is said to have been burning since 470 AD. Many cities have simple ancient structures, there are just as many which are opulence, glamourous and exotic. One of the most glamorous cities in the region, being the jewel in the crown during the peak of the Ottoman Empire. The Basilica Cistern, erected by the Romans and the Galata Tower are examples of breath-taking architecture. Ancient frescoes and mosaics can also be found all over the city. The Church of St Saviour in Chora is a beautiful example of this stye. Every country along the route offers a long list of places to see and things to do, and even though 16 weeks may sound like a lengthy trip, you will quickly realise there still isn’t time to pack everything in. However, no matter how pressed for time you are, there are some locations along the way which are simply unmissable. A trip to Gallipoli should be first on your list, a coastal area famous for being the site of an eight month long battle between Allied and Turkish forces. The trenches and battlefields are still very visible almost a century after the tragic events which claimed so many lives. In Georgia, Prometheus Cave is an eerie subterranean experience with petrified waterfalls, stalagmites, stalactites, underground rivers, caverns and lakes. 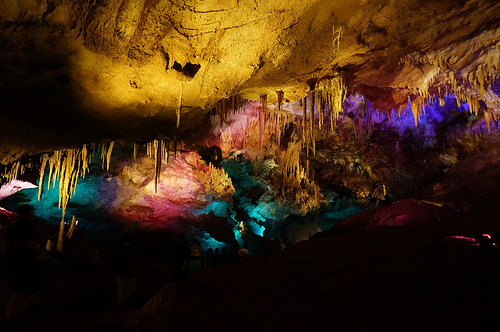 With 1060 of underground paths to follow, visitors can also take a boat ride along the river to get closer to some of the most amazing sights normally hidden below the surface. Mount Ararat is the site where Noah’s Ark is said to have finally come to rest. Some scientists claim to have found evidence which suggests the legend is in fact a reality. Although it has a foot in several countries, including Turkey and Iran, the best views of Mount Ararat are from Armenia, where it’s visible from the capital city, Yerevan. The mountain is of huge importance in Armenian culture, and according to the mythology of the country, is the home of the gods. Although the mountains are a natural sight of real beauty, an excursion down to the Caspian Sea is a must. With tea plantations plus orange and lemon groves, it’s easy to see why this area was an important gateway on the historic Silk Road. Historically it linked up the exotic orient of China to the new wealth of Europe. The hub of the Persian Empire, is a place of extremes is a great mini-expedition by itself. With snow and sunshine at opposite ends of the same country, as well as lush rain forests and parched desserts. It’s almost impossible to pick out one single must-see activity because there’s simple so much to see. However, the Great Salt Desert – known locally as Dasht-e Kavir – is one of the hottest places on the planet. Many tours skirt around the edges of this fascinating region where the golden sands stretch out for miles. Dasht-e Kavir is the only place in the world which is totally empty and devoid of life. Not even bacteria can thrive in the environment! A country of stunning simplicity, with the nomadic lifestyle based on herding animals and yurts is a popular Silk Road stop. The ruined city of Kanye-Urgench, situated on the northern border of the country. This was the site where Genghis Khan carried out one of the biggest mass slaughters in history, removing 17% of the total population from the world. Genghis Khan, a charismatic leader, still has many devotees in Central Asia, with vodka and childrens still named after him. They prefer to celebrate his many and undoubted achievements rather than the 70 million people he wiped out. Bukhara is often considered the real heart of the Silk Road, with merchants and traders all passing through this region. 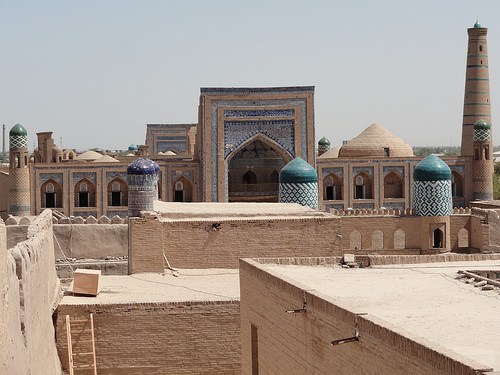 Having been inhabited for approximately five millennia, UNESCO has named Bukhara as a World Heritage Site. The people of Turkmenistan and Uzbekistan are renowned for their particular hospitality. An imposing landscape, with the Heavenly Cloud Mountains beyond the Ferghana Valley a very tranquil way to spend a day or two. Camping with local nomads in their yurts is a great way to really get to understand the heartbeat of this wild beautiful country. The ninth biggest country on the planet is still largely a mystery to outsiders but there are many delights waiting to be discovered. For something of the more modern variety, Khan Shatyr will blow your mind. 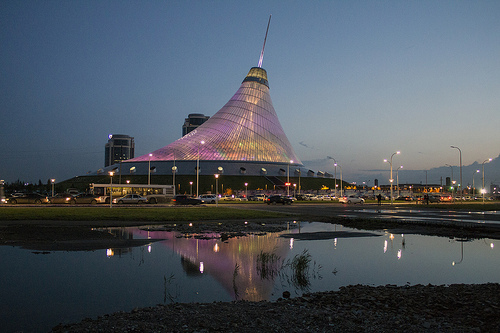 A tent 150 metres high, with a base the size of ten football stadiums, a clear roof lets warm sunlight in. So that whatever the weather outside, the internal temperature is always a tropical. This feat should not be underestimated as the temperature outside can drop to −35°C whilst remaining hot in the complex. A mini beach, cobbled streets, mini-golf, a boating river and shopping centre are all inside this incredible creation. 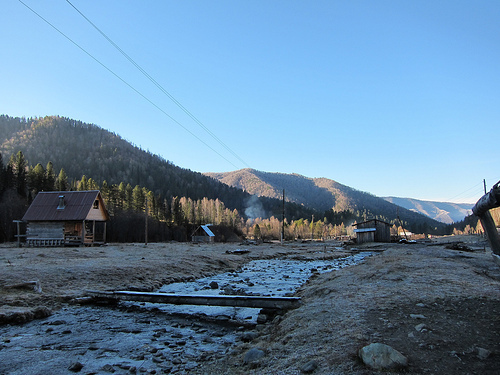 In the Altai Republic the star of the show is the landscape. Siberia is unbelievably vast and the extent of the icy wilderness is almost impossible to comprehend. Yet there’s not just snow and ice, there’s boreal forest, blue lakes and deep valleys. These are home to more than 300 species of bird and 70 species of mammal. The Bactrian camels in the Gobi desert are certainly an iconic sight. However, the capital city of Ulan Bator is amazing sight, as all the houses yurts, the ground is too hard to dig foundations. Our final leg from Istanbul to Peking, and there’s an endless list of fascinating locations. The last is the essential Great Wall of China. With all of its branches added together, the Wall is an incredible 21,196 km long, with watchtowers and trenches. Despite what urban legends suggest, it can’t be seen from space. It is a feat of early engineering, with parts of the wall constructed as early as the 7th century. No matter where you go in the world, your memories will be shaped by the people you meet along the way. In your expedition across Asia from Istanbul to Peking, you will meet some of the friendliest people on the world. Strangers willing to offer a welcome to strangers from the other side of the globe. Whether you are invited into a herder’s yurt in Mongolian, or offered tea in Iranian, you will feel close to people despite the many differences in culture on a trip from Istanbul to Peking.